These skids can be used for municipal wastewater aeration or oxygenation applications — eliminating the need for basins — for municipal drinking water pre-filter oxidation and most industrial or municipal chemical injection applications. Whatever the application, Mazzei skids provide exceptional performance with low horsepower requirements and within a small footprint. 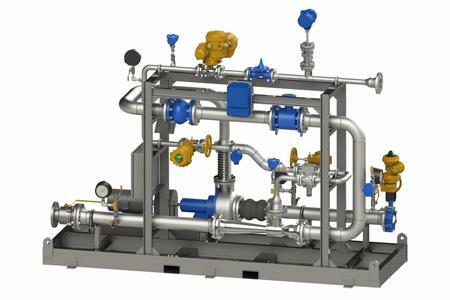 The sidestream ozone injection skids are designed to work with a facility’s ozone generators to provide safe and rapid transfer of ozone gas to solution. These skids, part of a complete ozone mixing and contacting system, are customized to meet specific design requirements and are ideal for retrofit or for new construction.